Written by: John F. Crowley on May 21, 2010. Paul McCartney slinging a sunburst ’66 Fender Jazz Bass, live at Abbey Road studio! Apparently not part of Fender’s “gift package” of guitars and amps (they’d included a right-handed Jazz Bass), this sunburst model shows up in Abbey Road studio photos from “White Album” sessions. 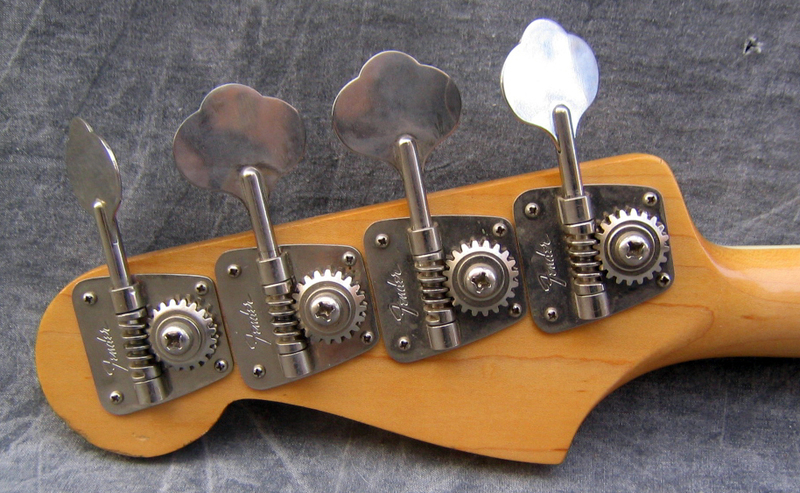 Its oval-shaped tuners are peculiar to the 1966 model year; Fender basses otherwise featured “clover leaf” tuners. According to Walter Everett in The Beatles as Musicians (Volume 1), this Jazz Bass is played on five tracks: “Yer Blues,” “Glass Onion,” “While My Guitar Gently Weeps,” “Sun King” and “Mean Mr. Mustard.” [Everett infers that the right-handed model was also used during the sessions, by Lennon (“Helter Skelter“) and Harrison (“Back in the USSR.”)] McCartney’s kept most of his instruments, and this probably is no exception.